VIMHANS (Vidyasagar Institute of Mental Health and Neuro-Sciences) is a multi-speciality institute offering comprehensive facilities to patients from all over India as well as adjacent nations like Afghanistan, Pakistan, Myanmar, Sri Lanka, Bhutan, Bangladesh, U.A.E., Kenya etc. Disciplines available consist of Mental Health, Neurosciences, Orthopedics and Spine, Rehabilitation Medicine and Child Development. The hospital has rationalized range of medical technology and furthermore also has an active social outlook. VIMHANS was visited by 4,57,484 OPD patients in which 32,839 were IPD patients From January 1999 to December 2008. With a 21 bedded I.C.U., the hospital is cared for by 45 consultants and a huge number of support staff. VIMHANS is a living inheritance of Dr. Vidya Sagar, M.D [M.R.C. Psych.] 1910-1978 Father of Indian Psychiatry. He was Superintendent of the Amritsar Mental Hospital and then Professor of Psychiatry at Rohtak Medical College until expired. During the period when psychiatric services were in relative infancy Dr. Vidya Sagar expended upto 18 hours a day with patients. Because of brimming wards in the hospital, many patients were accommodated at his house with full support from his devoted wife Mrs. Kaushalya Devi who also relieved him of all domestic errands. Dr.Vidya Sagar was elected as President of Indian Psychiatry Association and expended a lifetime serving his selected profession and patients. A concentrated effort by close family members and well-wishers of Dr. Vidya Sagar led to creation of a society bearing the names of Dr. Vidya Sagar and Smt. Kaushalya Devi in August 1981. It was started with Rs. 40,000 left by Dr. Vidya Sagar for this purpose in his will and the hospital commenced its services in the arenas of Psychiatry and Drug de-addiction with 20 beds. Since then, the path has been long and tedious but also topped with numerous achievements and accomplishments. 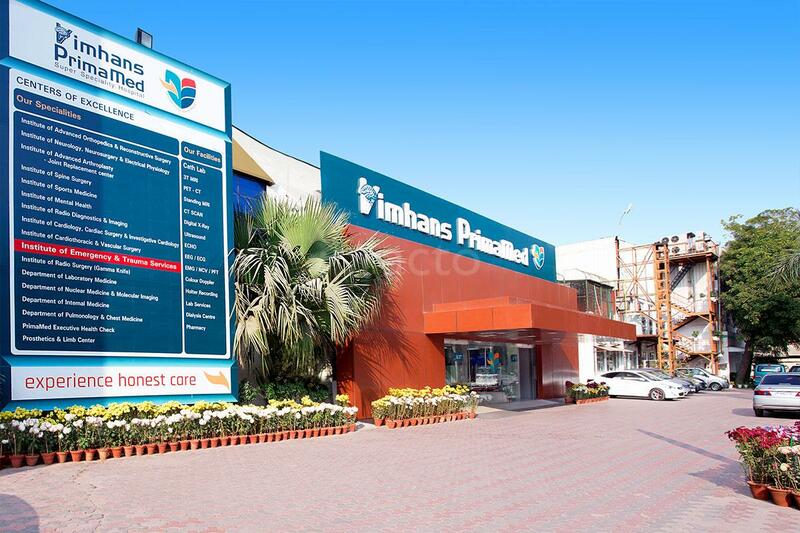 Vimhans now has 110 beds, with assets of substantial value. From the original field of mental health, now the hospital is a superspeciality institute covering 5 major medical specialties and their associated disciplines with three outreach centers in diverse parts of North India.